All manipulations are carried out via open or closed methods. The first assumes an external incision, and the second - internal cuts on the mucosa. In most cases, rhinoplasty is tried to be carried out via a closed method, because in such a way it is possible to avoid the appearance of marks. This applies to most manipulations with nose alae, which do not require enhanced access. When the handicap is related with the width, size or asymmetry of the nose, the correction involves narrowing of the walls of the nostrils and cutting off excess soft tissues near their base. The form is more difficult to correct, especially if it is connected with restoration of a natural support of the nose alae. In this case, cartilage transplantation is required. Usually the material is taken from the patient's auricle. People who usually opt for this procedure are those who have large or thick-walled nostrils, expressed by the asymmetry of their size or location. The reason may be clinical: congenital defect, trauma, deformation due to illness. Severe dermatological problems with the nose. Almost all complications are temporary and are associated with the individual reaction of the body. But some of them have to be corrected by repeated surgical intervention in a year after the operation. This happens when the doctor lacks competence to perform a surgical intervention on the alae of the nose. The desire to do the procedure for a lower price or going to a dubious clinic is fraught with serious consequences. In addition to the possible doctor's mistakes, postoperative problems also arise due to the patient's fault. Sometimes failure to follow the recommendations leads to consequences, which are very difficult to remedy, not to mention the cost of re-plastics. The effect will be noticeable immediately after the edema comes out and the scars resolve. It takes about a few months. Usually, after this period of time, the nose acquires the desired outlines, but it makes sense to estimate the final result not earlier than six months after. Of course, not all clinics are able to provide the rhinoplasty on the proper level. 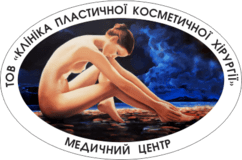 The "Clinic for Corrective and Cosmetic Surgery" in the city of Poltava offers to assure yourself of the professional qualification of its professionals. To do this, just go to the site. Here you can find all the relevant licenses and certificates, find out information about doctors and see photos of patients before and after correction. There is also a section with feedbacks and an opportunity to see how much do the services of the clinic cost.